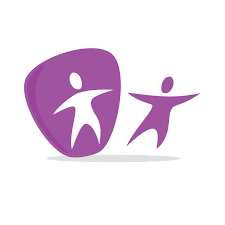 The Office for Disability Issues (ODI) publishes some statistics and indicators regarding disability. Most of this data does not go beyond 2011, except for employment and poverty dated 2012. Other published data stops at 2008 or 2009, but there is no analysis or recommendations derived from this data. The research report section does not include any research undertaken under the current government. 62% of people calculated to be disabled, do not think of themselves as disabled. The most cited reason for this is that respondents can carry out their normal day-to-day activities. Over half of respondents (regardless of whether they are disabled or not) stated that the Paralympics have caused them to have a positive view of disability. Around 6 out of 10 respondents said that an improvement to their health condition would make the biggest improvement to their quality of life. The questions asked and the data collected  illustrate again the medical model perspective adopted by the government, the first question asked being “Do you think of yourself as disabled?” Through this question, disability is immediately established by the government as a subjective concept, which may be influenced by internal or external factors. 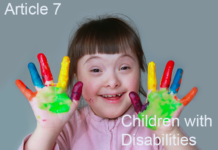 In this survey and in the UK Government’s strategy, equal opportunities for disabled people and their rights to live a life on a par with non-disabled people, are only seen through the prism of paid employment, and not as a right in itself which could be achieved through employment or by other means. Article 31 imposes the duty to disaggregate the information collected, to help assess the implementation of the Convention and to identify and address the barriers faced by persons with disabilities in exercising their rights. 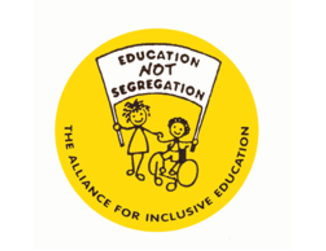 Although the UK government has a Minister for Disabled People, a Minister for Equality and a Minister for Women, the statistics collected by these ministries fail to recognise that disabled people are not a homogenous group and include disabled women as well as men. There is no data disaggregated from a gender and disability perspective although women and disabled people have been disproportionally affected by the cuts implemented by the current government since 2010. Recent research concluded: ‘realistic baseline statistics need to be collected, cumulative impacts of potential cuts considered and the social return on investment in women’s services factored in to calculations’. More generally, disabled women are facing specific issues in terms of domestic violence, low paid employment, unemployment, poverty etc. 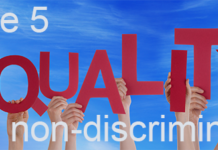 which means that they experience dual discrimination because of their statuses as ‘disabled’ and ‘women’. This interaction is totally unrecognised by the UK government and there is no joint-up thinking or strategy between the three ministries involved. A search with the word Women on the Office for Disability Issues (ODI) website brings up 5 results. The Department for Work and Pensions had included Reconsiderations in the ‘Fit for Work’ figures for New Claims, which means it is impossible to know the total number of flawed Employment and Support Allowance decisions which have been overturned through the DWP internal Reconsideration process. The DWP and the Secretary of State have been criticized by the UK Statistics Authority for their use of statistics. 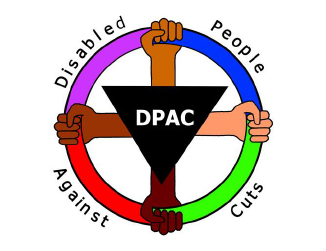 Disabled people have repeatedly requested that the UK government carry out a cumulative impact assessment of the austerity cuts on disabled people, such as cuts in disability related benefits like the changes from DLA to PIP, cuts in housing benefits, the decision to scrap the Independent Living Fund, cuts in social care in the community, etc. Some disabled people have been hit by as many as six different cuts, but the government has until now argued that it was impossible to undertake such a complex assessment although the Scottish government has undertaken to do it, and it has been left to disabled organisations, charities or individuals to attempt to carry out this assessment. This call for a cumulative impact assessment has been supported by the Social Security Advisory Committee. The ODI has recently announced that it is to discontinue the Life Opportunities Survey (LOS). This survey has made significant contributions to understandings of social, economic and community participation amongst disabled people. 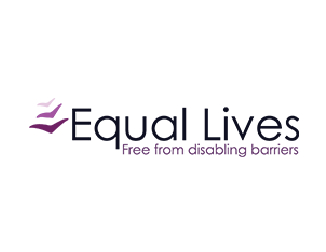 An array of organisations has drawn upon LOS wave 1 data to produce new practical recommendations on a range of topics relating to the human rights of disabled people. The level of detail on prevalence rates of particular impairment types is unparalleled in other population level datasets. There is a need for good quality, longitudinal data on disability in order to evaluate progress towards realisation of disabled people’s rights under the Convention. The loss of the survey will be strongly felt across the disability sector and beyond. The full potential of LOS has yet to be realised, and the rationale for its development just under a decade ago remains valid and pressing.